Kinross Gold Corporation, the owner of Round Mountain Gold Mine, wants to expand its open pit mine in Nye County. Special to the Pahrump Valley Times/ Kinross Gold Corporation, the owner of Round Mountain Gold Mine said it plans to expand its operations. Officials said without the proposed expansion, mining would be done in 2018, and processing of new ore will be completed in 2021. 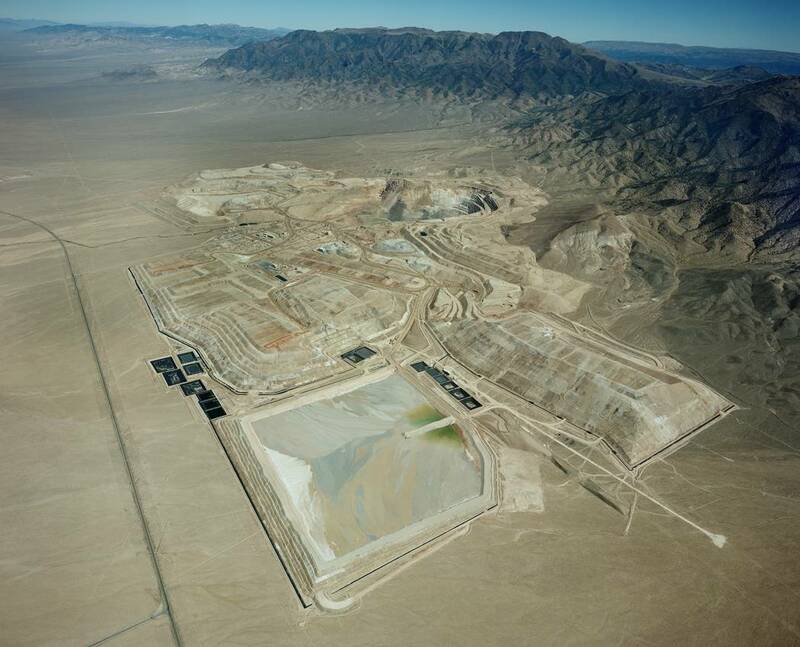 Special to the Pahrump Valley Times/ Kinross Gold Corporation, a Toronto-based gold mining company that owns Round Mountain Gold Mine is looking to expand its Nevada footprint. 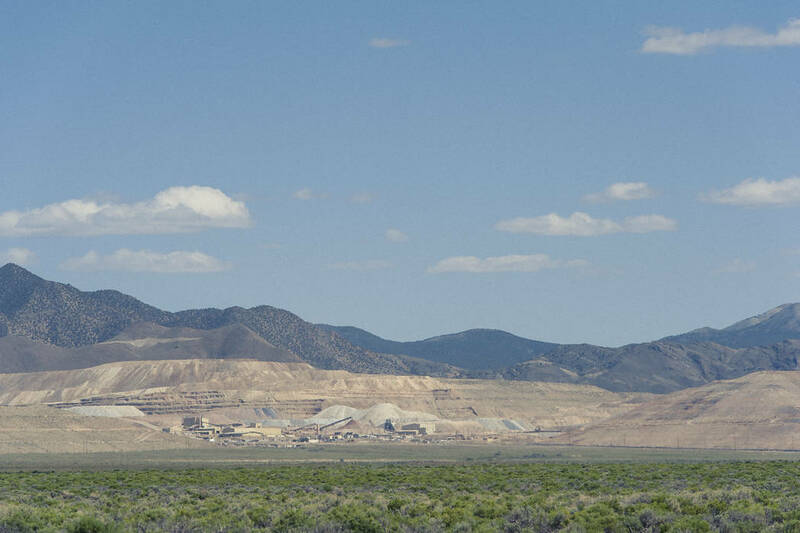 Kinross is currently in the permitting process to extend its open pit gold mine in Nye County. Dave Hendriks, operations manager at Round Mountain Gold Corporation, said the current mine is running out of reserves. Without the proposed expansion, he said mining would be done in 2019, and processing of new ore would be completed in 2022. “We are evaluating the extension of time, we are expecting the feasibility study to be completed in September 2017, and pending project approval by the Kinross board and BLM permitting, we would begin that extension in the first quarter of 2018,” he said. Round Mountain Gold Mine is located 55 miles north of Tonopah. Kinross Gold Corporation, a Toronto-headquartered gold mining company, acquired the mine from Barrick Gold Corporation in early 2016. In a presentation to Nye County commissioners at the July 5 meeting, Tim Coward, field manager for the Tonopah Office and Jay Dixon, principal permitting engineer at Kinross Gold Corporation, provided the county with an update on the permitting process. “It’s a pretty simple expansion, we just want to keep a really good thing going. That involves moving the pit to the west,” Dixon said. The expansion will not require a change to the authorized plan of operations boundary that’s already permitted by the BLM. Officials said one of the most important environmental impacts of the proposed expansion would be an increase in the dewatering rate that will be followed by an increase in the water that they put back into the Big Smoky Valley aquifer, as water demand for processing will not increase. “As we increase dewatering, we will increase a corresponding amount back into the aquifer,” Dixon said. Other minor changes within existing plan boundary include building the first north leach pad, relocating the existing facilities to accommodate the new pit, and moving communication lines and power lines. Coward said the BLM is currently completing the environmental assessment. After that, he said they will be looking for public comment and issuing a final environmental assessment and a final decision. “We’ve been working on it for quite some time due to importance to the county and importance to the mining operation,” Coward said. “Based on that, a lot of the legwork has already been done, now we are drafting up the environmental assessment,” he said. Kinross operates mines on four continents and is currently focused on expanding its footprint in Nevada. The company has been in the state since 2003 and has undergone a significant expansion by acquiring the Bald Mountain and Round Mountain gold mines. In 2016, Kinross produced 378,264 gold equivalent ounces. The largest private employer in Nye County, it has 821 employees and between 75 and 150 contractors. The company expects to have a lot of temporary positions available for the construction phase of the mine expansion and also a slight increase in the permanent workforce once the construction is done. Hendriks said 0ne-third of Nye County’s general revenue, or $16 million, came from the Round Mountain Gold Mine in 2016. However, he said it’s not clear whether the proposed expansion would bring additional revenue to the county.